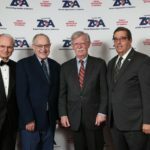 U.S. National Security Advisor John Bolton was presented with the Defender of Israel Award at the Zionist Organization of America’s annual Brandeis Award dinner, held Sunday night in New York. 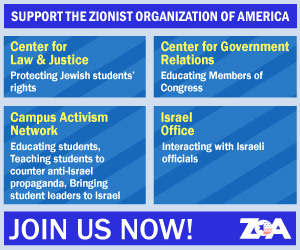 ZOA also gave its Brandeis Award to high-tech businessman and philanthropist Bob Shillman, its Woo Kai Sheng Outstanding Journalism Award to Fox television and radio host Mark Levin, and the Dr. Bob Shillman Award for Outstanding Diplomacy to U.S. Ambassador to Germany Richard Grenell. President Donald Trump was lavishly praised at the dinner for moving the U.S. embassy to Jerusalem. Many speakers at the dinner made note of the shooting attack at a Pittsburgh synagogue that left 11 worshippers dead. Danny Danon, Israel’s ambassador to the United Nations, called the shooting “barbaric” and compared it to Kristallnacht. Bolton and Grenell also condemned the attack. A number of liberals and Democrats have connected the massacre to Trump’s rhetoric. The shooting was allegedly carried out by a white supremacist who criticized Trump as too close to Jews but embraced a conspiracy theory peddled by Trump and his followers that a convoy of Central American migrants traveling through Mexico plans to “invade” the United States and is funded by liberal philanthropists including Jewish billionaire George Soros. ZOA President Morton Klein said it was “political blasphemy” to connect Trump to the massacre, The Daily Beast reported. Alan Dershowitz introduced Klein at the dinner. This article was published by JTA and may be found here.